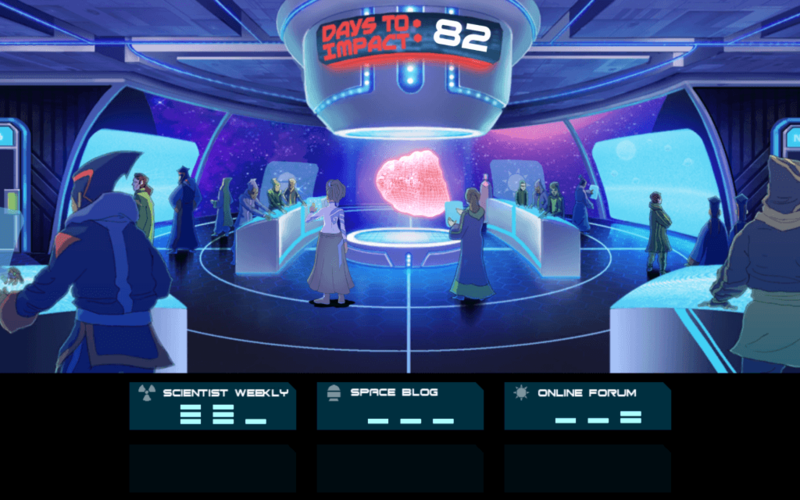 In the context of a doomed planet’s imminent destruction by an approaching asteroid, the game Astria: Countdown to Impact offers students the opportunity to work with a team of scientists and world leaders to find a scientific solution to the threat. 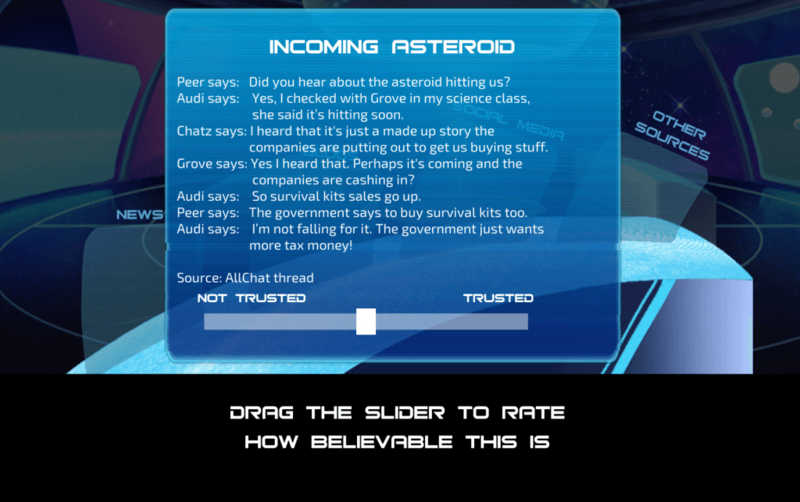 As the Alpha Leader, the player must read a series of documents from both reliable and unreliable sources, and fully investigate all possible solutions to the asteroid crisis. The Developing in Digital Worlds team designed the educational game Astria: Countdown to Impact in response to limited classroom opportunities to develop critical literacy. While the New Zealand Curriculum Te Marautanga o Aotearoa promotes awareness of how texts include, exclude and represent readers, and how text producers choose language, layout, words or images to reflect a particular point of view, students still need opportunities to practice these skills. 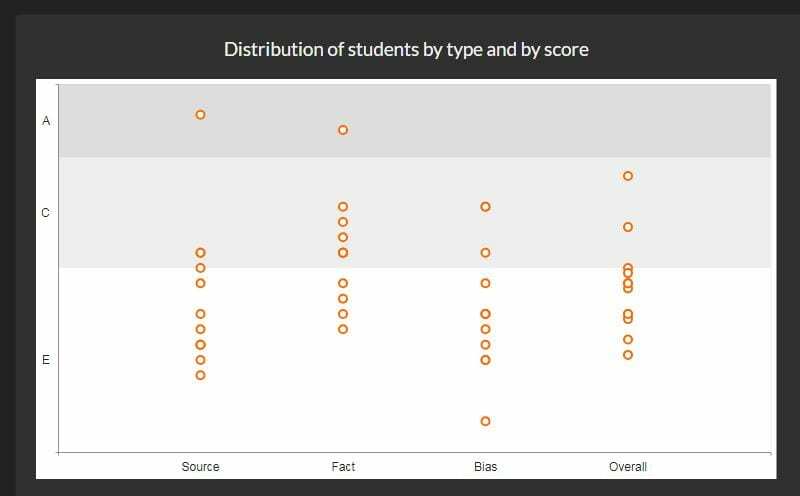 A digital tool like Astria provides students with a collaborative game experience, while asking them to identify bias, credibility of source, and whether particular statements can be classed as “facts” or not. In this way, the Astria educational game develops critical thinking, critical literacy, and vocabulary skills for both upper primary and lower secondary students (years 7-10). 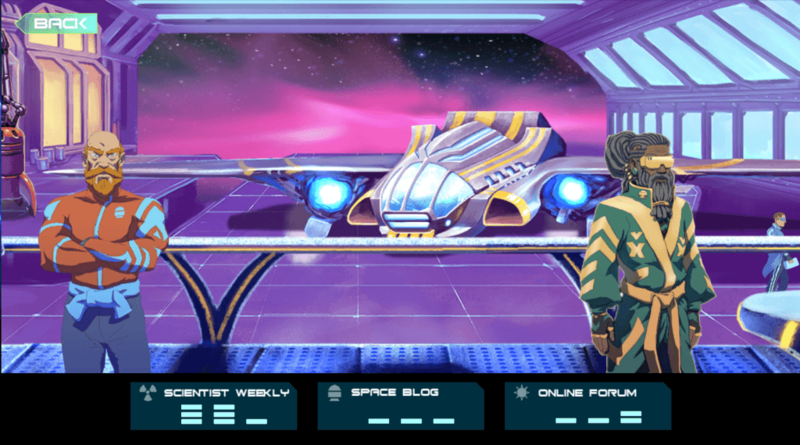 The game format also provides a unique environment in which students are given freedom to make mistakes in a low risk and highly engaging context. With the pretence of a planet under attack, students’ cognitive and social skills are tested and extended by problem solving, goal seeking, planning, decision making, and path taking. To the extent that game provides a structure for joint activity, then further feedback loops and communities of learning involving cooperation and collaboration with peers may be possible. The most recent version of the game also gives greater opportunities for teachers to consult analytics and augment their capacity to guide students.